Robert Sean Bennett: Current Nevada boxing judge and a former FBI special agent. Eric Bentley: Assistant director of the New York State Athletic Commission. Aaron M Davis: Commissioner of the New Jersey State Athletic Control Board. Christopher Eccles: Serves as deputy attorney general for the Nevada commission. Andrew Foster: Executive officer of the California State Athletic Commission, the equivalent job there as what he would do in Nevada. Craig Hubble: A lawyer in California and vice president of the regional NABF sanctioning organization. Michael Martino: An inspector for the Nevada commission. Has been with the commission since 1981. Also the former interim executive director of USA Boxing. Jeffrey C. Mullen: Executive director of the Tennessee commission. Joseph W. Nady: A Nevada commission inspector (who happens to be the brother of veteran Nevada referee Jay Nady). 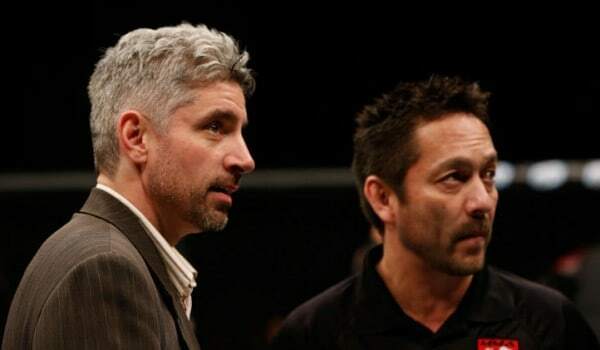 Mark Smith: An MMA judge for the Nevada commission. Also a former White House fellow and current commercial airline pilot.